Recent studies have shown that a low-FODMAP diet—one that eliminates certain carbohydrates that can trigger gas, bloating, and other digestive issues—can help followers to feel better fast. Created by Monash University in Melbourne, Australia, the diet has become a worldwide sensation. Because the offending foods often seem like healthy choices (apples, cauliflower, and garlic can all cause tummy discomfort), it can be a challenge to pull together meals. Enter Alana Scott and her wonderful cookbook. Scott, who suffers from irritable bowel syndrome (IBS), began developing recipes so she could enjoy eating again. 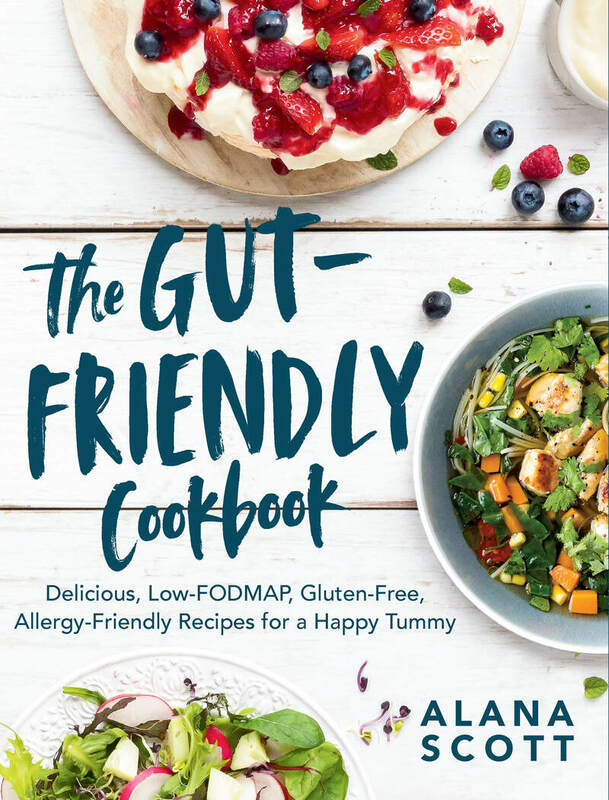 In The Gut-Friendly Cookbook, she shares more than 100 recipes for delicious dinners, breakfasts, lunches, and snacks, plus sweet treats, gorgeous photographs of each recipe, and plenty of easy-to-read background information on FODMAPs, a shopping guide, and advice on how to change your eating through the whole cycle of the low-FODMAP journey. The recipes have all been reviewed and approved by a FODMAP- trained registered dietitian. Alana Scott is based in Hamilton, Australia. Her successful website, alittlebityummy.com, is a hit with low-FODMAP adopters worldwide. She trained in business management and marketing, so the development of the website was a natural step for her when she was diagnosed with celiac disease, IBS, and multiple food allergies.